I love eggs. I like them fried, poached, soft-boiled. I like runny yolk creating a sauce for fried mushrooms, pasta, or potatoes. They give baked goods their texture, they create fluffy meringue bases for frostings, or pavlovas, or marshmallows. I love eggs. My brother however, hates eggs. I’m not quite sure when this hatred and disgust arose, but now, if he knows there are eggs in something, he won’t eat it. 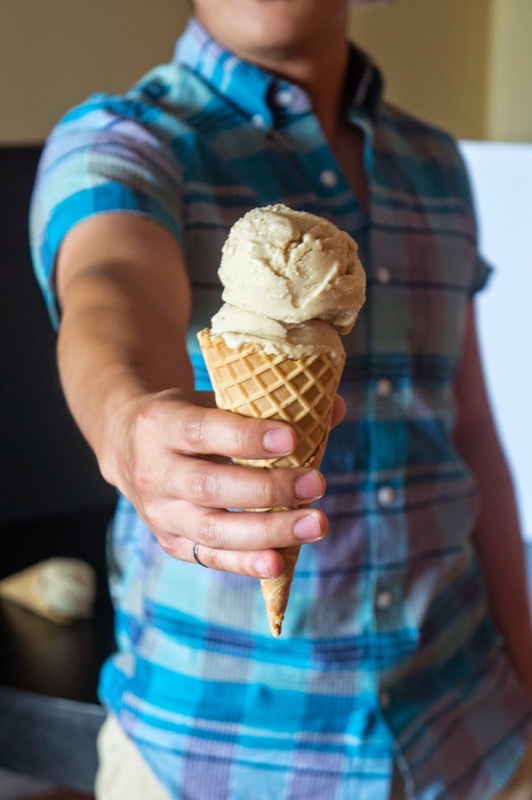 No, you didn’t read the title wrong; this is a post about ice cream. 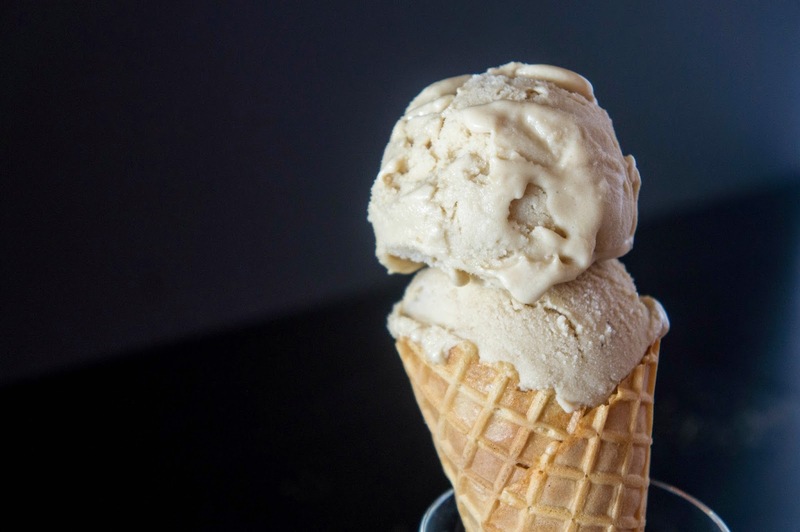 Creamy, rich, homemade ice cream normally starts with a custard base that has lots of egg yolks in it. But with my brother and sister visiting from New Zealand next week (complete with spouses and the cutest nephews and niece), I had to expand my ice cream repertoire. 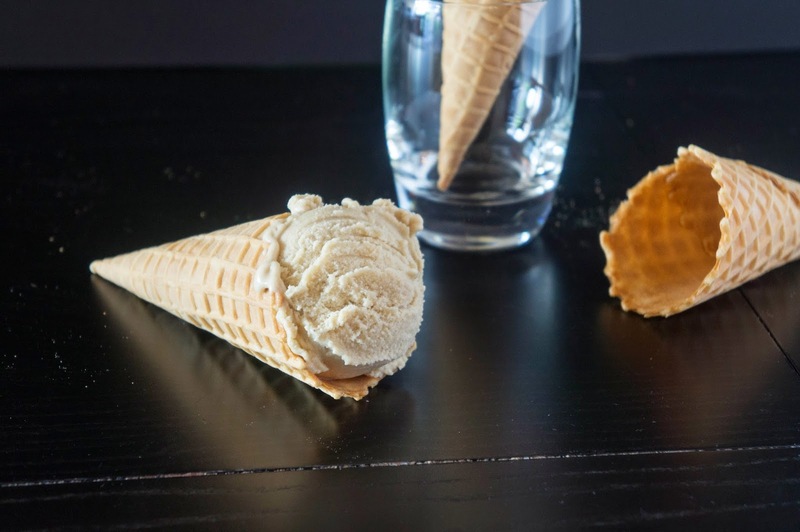 This ice cream recipe is a gem. 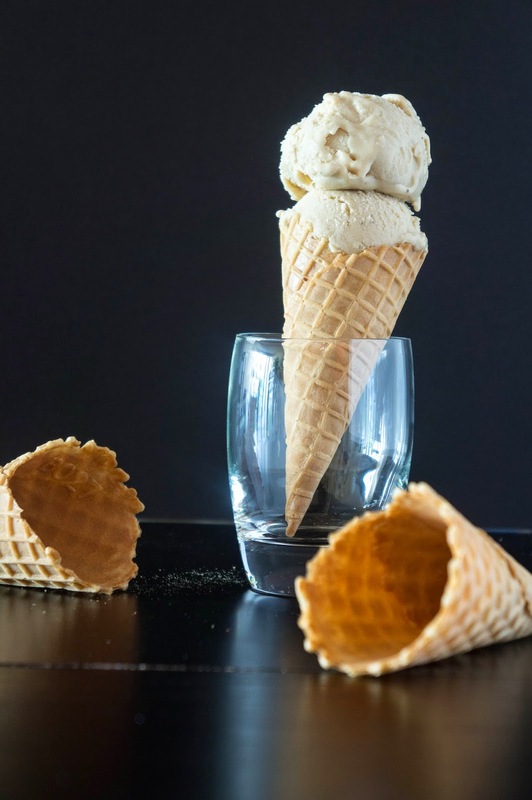 Just a few steps above the 1-ingredient banana ice cream phenomenon that swept the internet, this ice cream is super simple. Roasting the bananas first and using brown sugar gives the ice cream an amazing depth of flavour. 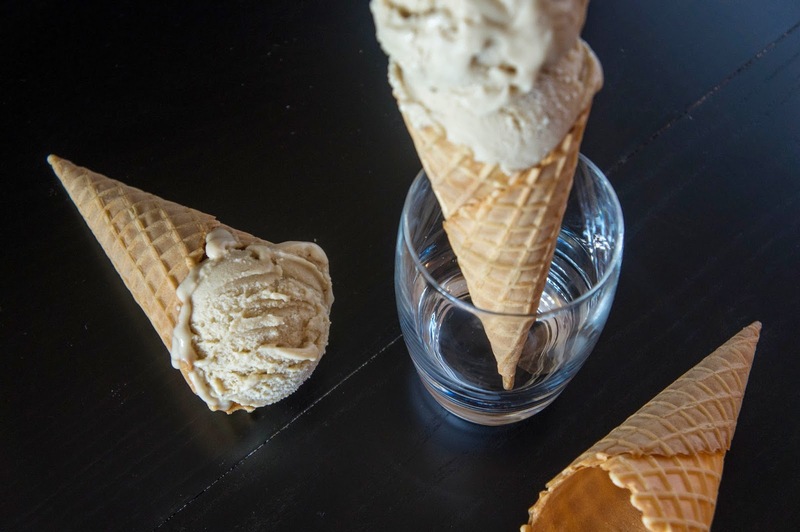 Using milk instead of cream makes this ice cream much lower calorie than traditional ice cream bases. And no eggs! Win win win. Peel bananas and slice into 1/2 inch thick rounds. Place bananas into a baking dish and toss with brown sugar. Pinch butter into small pieces with your fingers and scatter around bananas and sugar. Bake bananas in the preheated oven for about 40 minutes, stirring occasionally, until the bananas are browned and soft. Scrape the bananas along with any of the thick syrup in the baking dish into a blender. Add the remaining ingredients and blend until smooth. Refrigerate until thoroughly chilled (a few hours or overnight), then freeze in your ice cream maker. If the purée is too thick to pour after chilling, whisk vigorously to thin it out.